Construction employees rely on communications to be dependable and efficient in order to urgently respond to critical situations at the job site. A construction company’s workers, vehicle operators, and administrative personnel require light-weight but rugged radios that are capable of lasting a full day’s shift while minimizing dead spots by providing thorough in-building and outdoor coverage throughout multiple construction sites. Whether working on commercial or residential buildings, construction companies and developers are always looking to improve efficiency and ability to respond to pressing situations as seamlessly and conveniently as possible. By providing clear digital voice communications, data messages and integration into popular fleet management software suites, the PD7 and PD6 Series allows them to manage their entire staff efficiently. Hytera’s MD7 Series mobile radio can offer vehicular coverage and also telemetry triggers that send alerts when certain events happen. 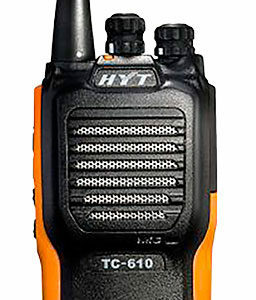 The Hytera X1 Series offers an executive digital radio with the same features but in a slim pocket-sized design that makes carrying and operating a radio easy and unobtrusive during daily usage. Hytera’s wide variety of accessories including heavy duty earmuffs, as well as covert and Bluetooth earpieces allow for workers to easily communicate effectively in noisy environments. The long-lasting high capacity batteries ensure usage for multiple shifts when needed. 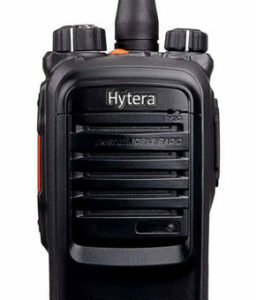 Hytera also has repeaters to extend coverage for larger areas with multiple sites. 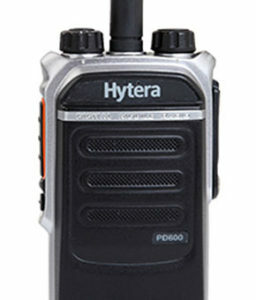 Hytera has a customizable radio solution for any developers looking to migrate to clear digital communications.